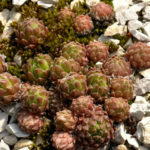 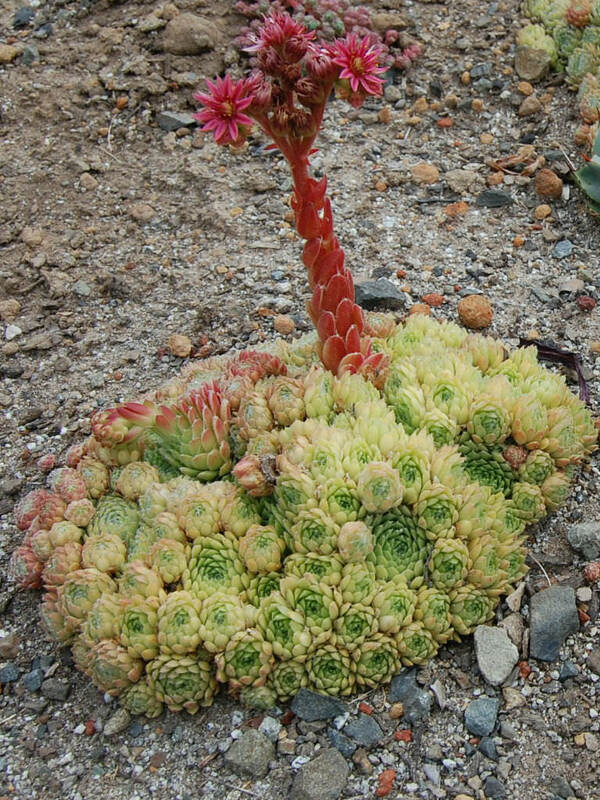 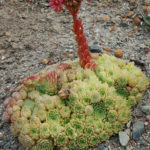 Sempervivum pumilum is an evergreen succulent plant with rosettes of hairy leaves, producing numerous offsets. 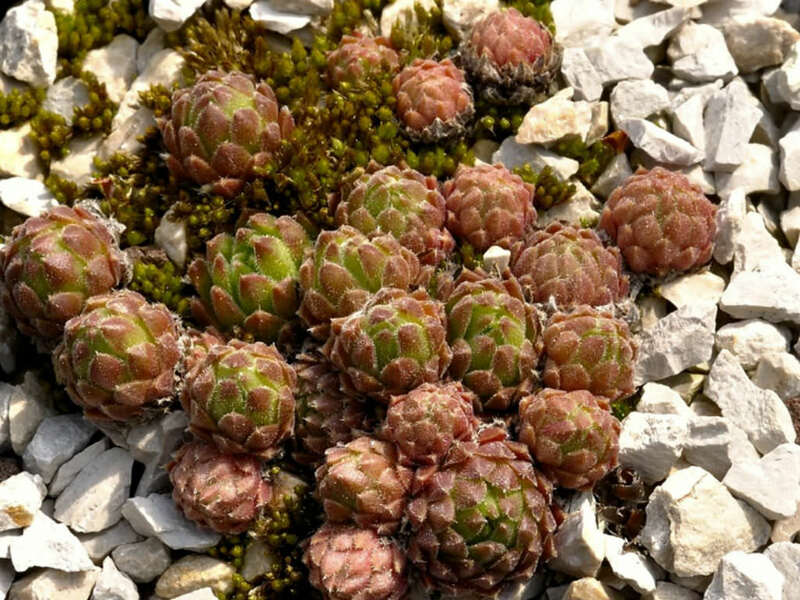 The rosettes are up to 0.8 inch (2 cm) in diameter. 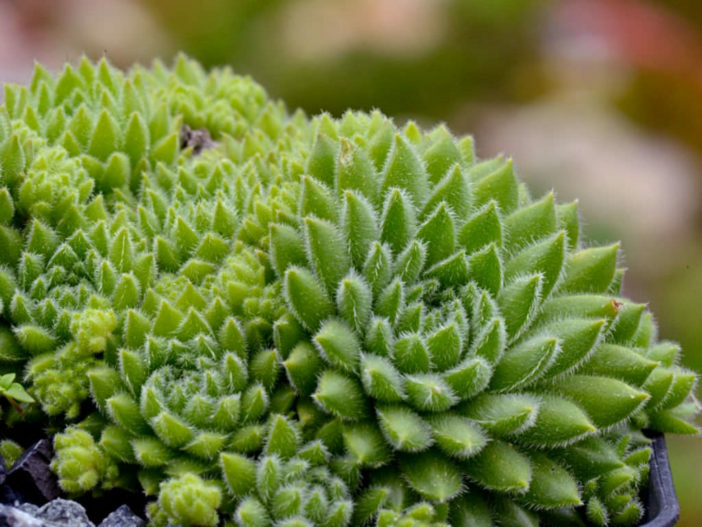 Leaves longitudinal, glandular downy, ciliate, red in sunny places. 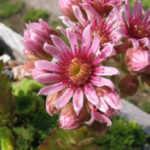 Flower stems are up to 3 inches (8) cm tall, carrying four to eight flowers with rose-purple petals having paler margins. 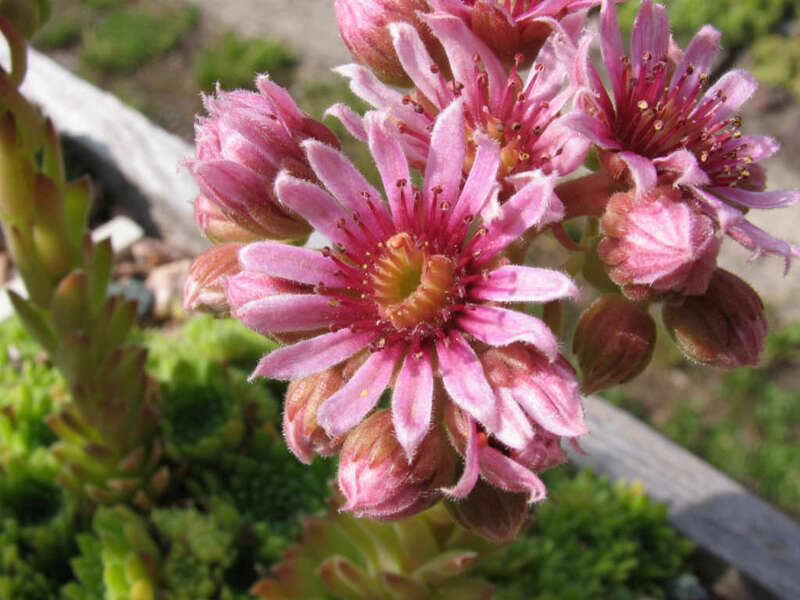 Sempervivum pumilum is native to Russia and Georgia.